Yesterday John the Red and I made the short drive (just over an hour) down to Leeds to attend this conference organised by Helion and Co Publishing. The venue was the excellent Royal Armouries museum, although sadly there wasn’t much time to view the sumptuous array of exhibits. 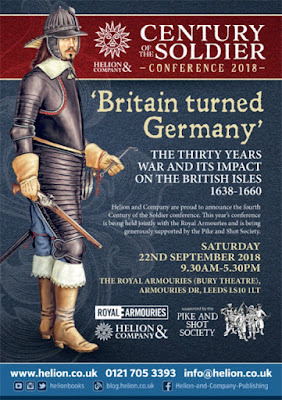 The focus of the conference and the various speakers’ presentations was on the impact of, and to a great extent the almost seamless link between, the Thirty Years War on Britain, hence the subtitle, “Britain turned Germany”. We all know that many officers and leaders who rose to fame or ignamony (delete as applicable) during our civil wars cut their teeth fighting in Europe. 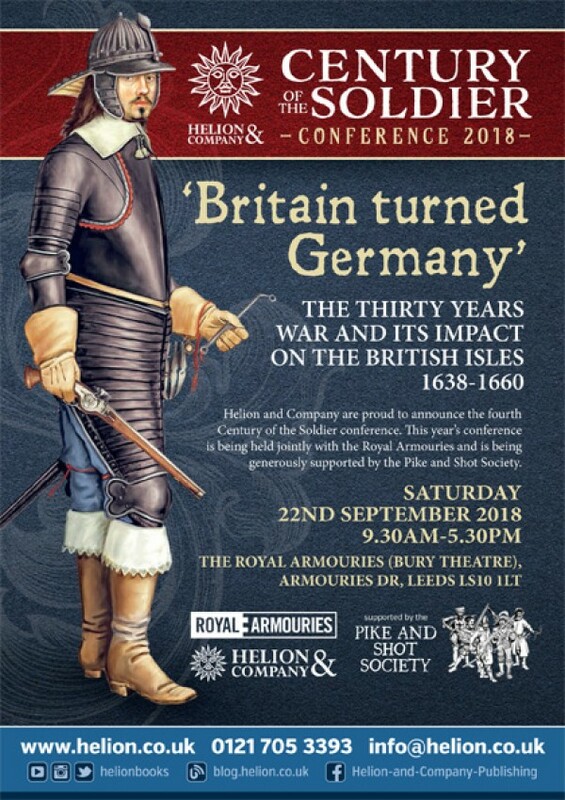 If I learnt just one thing from these (with one exception) excellent presentations it was that Europe during the Thirty Years War was literally awash with English and Scots, with something like 120000 serving throughout the conflict. Most of the rank and file were to die of disease and never return home which is a sobering thought. James I/VI actively recruited fairly hefty contingents of properly organised regiments to support his son in law Frederick ( a naturalised Englishmen), Elector Palatine and King of Bohemia, and Scottish daughter Elizabeth, in their fight to regain the throne of Bohemia. 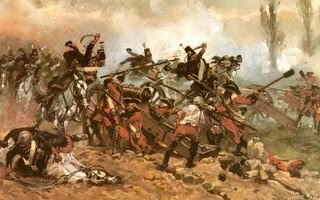 He also ‘borrowed back’ the Anglo-Dutch and Scots Brigades off the United Provinces to further this aim. 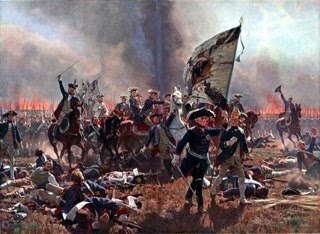 Indeed there was a sizeable British army en route when the Imperial army defeated the Bohemians at White Mountain in 1620. 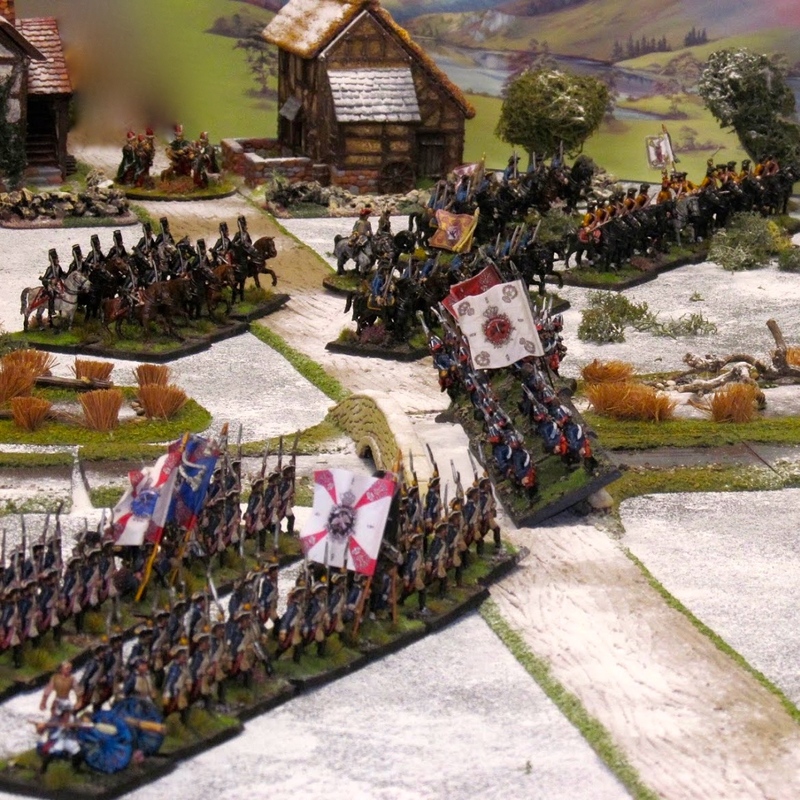 A great wargaming what if....? 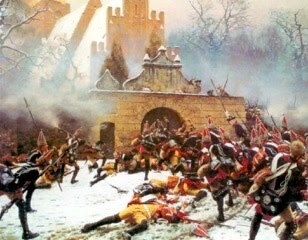 English/Scots/British-flagged regiments and armies served alongside or as part of the major Protestant players in the war, even while the English Civil War was raging. 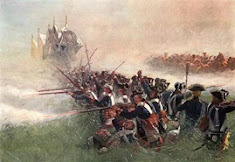 Some, including a number of senior commanders, preferred to remain in Europe rather than fight their countrymen at home. 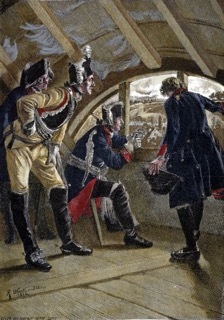 Regiments were recruited (often by emptying the jails) for service not just in Western Europe but further afield, such as Poland, Russia and for Venice against the Turk. But I am rambling. When the papers for this event are published by Helion buy them. David Flintham - "They have sent to Holland for engineers". Continental influence on military engineering in the ECW. The sessions marked thus *** were in my humble opinion the best and for me the most enlightening, but that does not detract from the content of the other speakers' presentations. So, and excellent day out. Lots of interesting stuff listened to and learnt. The world put to rights. Wargaming ideas thrashed out in the car. Thanks to Helion and Charles Singleton (a fellow Old Lidunian). Sounds like a good day out and some interesting stuff for 'what if?' games as you rightly say. Lots of good gaming fodder here.